As part of our ongoing commitment to bring the GameGuru Mega Pack range of models into the 21st century, we are pleased to present to you the new and improved 'street chest 5' from the Arabic Old Town collection. With luscious high quality 4096 textures with PBR as standard. The geometry has been overhauled and the textures have been redesigned from the ground up. Watch this space for further improvements! 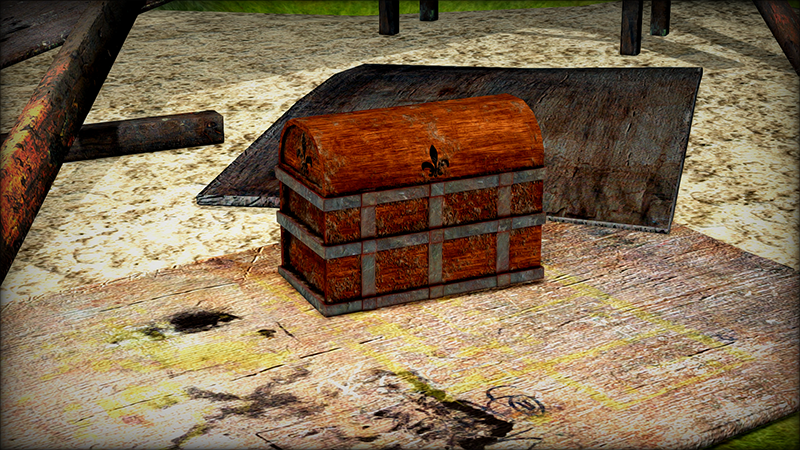 'Street Chest 5' is pictured here with props from our 'Antiques In the Attic' pack, also currently on promotion!